Want to have a good laugh and get inspired at the same time? Check out this lovely printable quote. 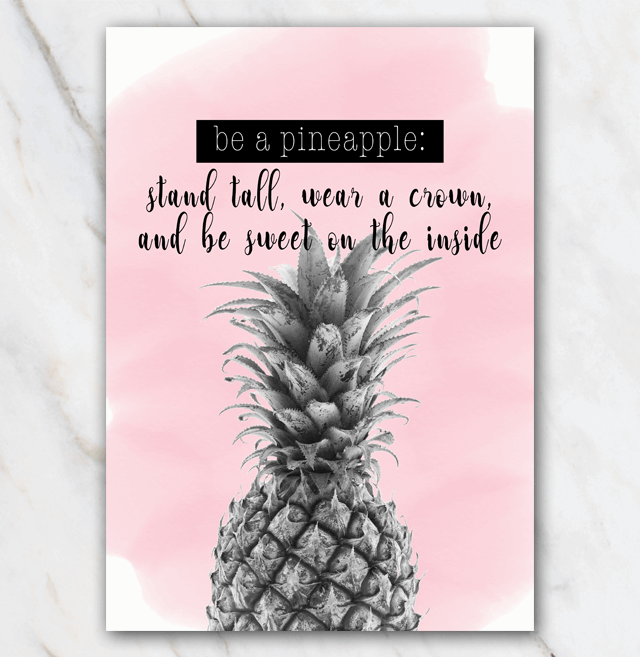 'Be a pineapple: stand tall, wear a crown and be sweet on the inside' says it all. Print at home and stick it to the fridge or at your desk at work. You'll be inspired every time you see this cute and funny printable about a pineapple. And trust me: eating a pineapple will never be the same again. Looking for more inspirational funny quotes? Check out all the other printable quotes.